// posted by Graham @ 9:15 AM"
elearningpost is a great web log all about e-learning. Stephen's Web ~ Papers ~ More than Personal: The Impact of Weblogs: "According to SchoolBlogs, weblogs also foster communication between students. 'Working projects between schools across the globe can be provided with an online platform in a matter of seconds. SchoolBlogs can also produce discussion and information flows within an individual educational establishment that are far more dynamic and effective than a traditional 'intranet'. Teachers and students are motivated to share information because they have ownership of it.' (http://www.schoolblogs.com/stories/storyReader$265)"
I have been trying out the Google Internet Explorer Toolbar with a Blog This! function. It makes it incredibly easy to blog websites you are visiting as a pop up window opens up that allows you to save directly to your web log. Great stuff! And here's another one: http://www.usingenglish.com/weblog/ - particularly useful for English language teachers: "Online newsletter weblog containing ideas, thoughts and musings about the English language and its use." 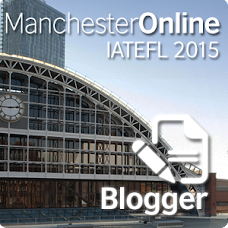 I've found another article about blogs in ELT, this time in the EFL Gazette. I have finally worked out how to combine the bells and whistles on this site so that it actually works. Now to try them out and see what value they have. The Chatterbox for example is an idea that appeals, but I haven't been able to get it to work yet. As I start to update the student weblogs, I realise that it would have been much easier to do if I'd created them all under my blog account and not under separate blog accounts. When it comes to housekeeping accessing them under your own account is much easier than if you have to log out and log in all the time. As you'll see, some of them don't actually have that much content. I will be posting the other things the students did (that they intended for the blog but never got around to posting) over the next few days. If you look now, you'll also see that sometimes the students couldn't remember which blog they'd posted to, so they sometimes posted to each others. That was partly my mistake by not clearly assigning blogs to students or not recording the logins. I am going to rearrange the material so it reflects the original intention of the experiment. I suppose this is partly the role the teacher has to assume if something like this is undertaken - there is a certain amount of housekeeping that will occupy the teacher's time and that ensures the project runs smoothly. Well, my computer crashed when I was republishing and I've lost all of my links and the extras I added to the sidebar. I'll have to rebuild it (when I have time). I suppose there has to be a way of protecting this. Maybe I'll have to make copies periodically whenever I make substantial changes. If not, then a lot of work can be lost very easily! If you set up a blog site for students, and invite them as contributors, you can have more control over the look of the site and the links on the template, etc. They can't change the settings or templates; only post contributions. This is a good idea. I have added a Flooble Chatterbox to the side-bar to try out. It allows visitors to add their comments and could conceivably be used as a type of 'chat' system between students (or teachers). Please try it out! Observations and comments about the use of weblogs with students and teachers of ELT. July 2003: I am currently using weblogs with two groups of teenage students learning English as a Foreign Language (Upper Intermediate level). That refers to the postings below this one. I am now going to expand the blog to examine not only classroom use of blogs, but anything and everything I come across regarding blogging in ELT. If you are new to blogging in ELT, then I recommend you check out some of the links on the left-hand side. In particular, the British Council Search English site is a good place to start. It's a great site for professional development in general, and has a subgroup specially about blogging in ELT. I suggest signing up/ logging in and then going to the Discussion Groups section - look for the Blogging in ELT subgroup. Take your time to explore the site, as it is complex and has a lot of valuable resources. Well, now the summer course is over and I am going to analyse what was done and tidy it up a bit. I also told the students to keep an eye on the sites as I would be posting some more of their work (this should keep me busy for a while!). I am also looking at add-ons that could be useful for use with students on their blog sites, so don't be surprised if new things pop up at the bottom of the site, etc. Those I think are useful tools I'll leave, and the others I'll get rid of quickly. I decided to call a temporary halt to working on the weblogs with the students. They have been using the computer room sessions to work on their writing (producing dialogues) and searching for information for a class quiz to be held on Friday. Of course, there is nothing to stop us from later reworking this and posting it on their weblogs, although I am beginning to question the approach I have taken with them. When I suggested the other activites, none of the students asked to go back to the weblogs, which was disappointing. The last post was about Thursday's class. I went in again today with two classes. The first group were in for an hour, and although they didn't spend all their time blogging, a substantial amount of time was spent looking at blogs and revising the blogs that the other class had started. I should say hear that it was much easier the second time. I told them to save their work first, and the session seemed to go much more smoothly. However, leaving the students a complete free choice about what to publish led to some problems. A few happilly got on with the task, writing about themselves, and their lives. A couple of the others, however, took to writing unkind comments about what the previous group had published. I suppose this was because of their age (14-16), but it was a shame. Then a few of the others just didn't know what to write and they kept saying this to me, despite me giving them lots of ideas and suggestions. I think about 70% of the class managed to get something useful out of it by the end of the session. I think the 30% who didn't seem to have a positive experience will react negatively to the idea of doing it again unless I think of a way of really engaging their interest. I gave the second class a choice of activites to see how many of them would choose to blog. I was pleasantly surprised to see that all of them went back to the blogs at least to look at what the other class had done. Most of the group then proceeded to post new entries or look at other blogs on the Web, whereas others moved onto doing some of the other activities I had proposed. Once again, it wasn't enough just to ask them to write about whatever they wanted. A few were happy enough to do this, but others seemed to feel frustrated that they were not given more guidance. Perhaps this way of using weblogs (two classes, trying to establish a dialogue) would work better if the classes were from different countries, and especially if (as in this case) they weren't in the same school. This way, the students could create a weblog specifically aimed at these students, answering questions perhaps sent by e-mail. I also realise that it would be much better to set tasks for the students, for example, preparing and publishing a general knowledge quiz, or using the weblog as a communications tool during the course of a project. Without a doubt, thinking about it now, I would approach things completely differently the first time with a class. I think the best way to start is to find a few weblogs that will appeal to them, that cover similar ground to what you want the students to do. This would give them an idea of what it is possible to do using this medium. The students who did look at other weblogs realised this, I think. One, for example, found a weblog dedicated to the film The Matrix, and was engaged in reading some of the articles. Another student was surprised to find that someone had posted a picture of herself with her cat, and had included a description of why she loved it. By-the-way, if you can't find those links now, then I'm afraid that's one of the things about blogging. It's ephemeral, even more than other websites. You can change things constantly - in fact, that's the whole point of it, I suppose. To write what's important to you in the here and now. If you're looking for something more permanent, to display student writing, perhaps, then a more regular website would probably be of more use. Setting up the Blogs before the students went into class was definitely a good idea. I also produced a worksheet which guided them through changing the settings (title, description, name, etc). This time the class went much better and there wasn't the sense of frustration that occurred the day before when the work the students had done was lost. They should copy the text they write before moving onto the next screen, so if it is lost then they can always retrieve it from the clipboard. They should write their text in a wordprocessor first, so they always have a saved version of the text, and they can copy it into the blogger new post screen. Because language learners take longer to formulate and write their ideas, this strategy seems to be a good one. At the end of the class, most of the students (although not all) had managed to write and publish something, and they were starting to get to know their way around blogger. Looking at the meagreness of their their results, I did wonder whether the experiment was profitable considering the time it was taking to produce short pieces of text. On second thought, I came to the conclusion that judging the experience only on their results is misleading. If I look back upon what actually went on during the class, then I can say that I was kept constantly busy by the students, calling me over to ask me questions about what to do next or how to do something. They were also actively involved in reading; not only the worksheet I gave them, but also the instructions on blogger.com and then some of them went to see other blogs to see what people had written. It was also a valid attempt to engage their interests and to encourage them to produce writing that could conceivably be read by many people, from different parts of the world. Looking at it this way, it seemed to be a very good use of half-an-hour's class time, and I decided to repeat the experiment, not only with the same class (FCE2), but to also introduce it to the other class I am teaching at the moment (FCE1). So, yesterday I started a student blog experiment with the first posting you can see below. I have been interested in the possibilities of using weblogs with EFL students for a while, but I hadn't really the right class or conditions up until now. This class seems ideal. They are a higher level class of students studying a summer intensive course (four hours a day, two teachers) at upper-intermediate/advanced level. The students have 2.5 or 4 hours class a day, the first two hours with another teacher and then the remaining time with me. Because half of them are doing a 90-hour course, and the other a 60-hour course, I have the whole group of fourteen for just half-an-hour. Then the 60-hour students go and Ã§I am left with the 90-hour ones. I have a computer room booked every day to use during the first half-hour slot, so this seemed like an ideal opportunity to use weblogs. The difficult question was (and is) how to do it. Why Weblogs? The main reason why I am interested in weblogs is the idea of it providing a reason for writing. More often than not, students are asked to write compositions which are only ever read by the teacher, and most of the time seem artificial. The idea of them writing in a weblog means that they have a valid reason and a potential audience. If nothing else, what they write can be viewed by other students at the school, parents, students at other schools, etc. How to start? I started yesterday by introducing the students to the concept through examples and the excellent introductory article in The Guardian Then I asked them to go to blogger.com and start up a new account. Unfortunately, they did not have enough time to do all this, and the accounts were unable to be finalised. I had run through the process previously at home, and was happy that an account could be set up in less than ten minutes, but in practice, the students took much longer over each stage, and the school computers were also slower, and occasionally unreliable when displaying pages. So, the first day was not a great success, as the students work was lost, and they didn't even have their blogs up and running! That was yesterday. My initial reaction was to give up the idea, but the more I thought about it, the more I was disappointed that we hadn't even been able to give it a proper trial. Then, later, I came across a forum on the British Council's Search English site asking for teachers views and experience of using weblogs with students. That did it. I was going to give it another go, but this time I would do it differently. So, I set up seven accounts at strong>blogger.comeach with different user names and similar titles. Thinking about this now, I think it's a better idea, because I retain ownership of (and control access to) the pages, and can even edit the entries if the students post anything which might be offensive or undesireable. Call me a censor if you wish, but this is the first time I have tried to do this, so retaining an element of control is probably a good thing. I have also decided to make the activity more controlled - I am going to give them a set of questions about themselves, and ask them to post answers to them in the form of short paragraphs, with the idea of providing an explanation to people who might come across the pages who are from different cultures and different areas of the world. I think this is probably a better idea than giving the students a free choice at first, because I am sure that some (although not all) will simply look blankly at the screen. Well, that is what I am going to try today. Hello Francisco, Albert, Albert, Josep, Pau, Cristina, Alba, Carla, Cristina, Joan, Sandra, Laura, Jordi, Nuria and Ignasi! This is an example of a weblog - you can post anything here that you think people might be interested in reading. You can make your BLOG about one thing in particular, or fill it with everything you are interested in. So, that's all. Have fun!